When Chrystia Freeland found herself face-to-face with Vladimir Putin at an international summit last fall, she could reasonably have been intimidated. 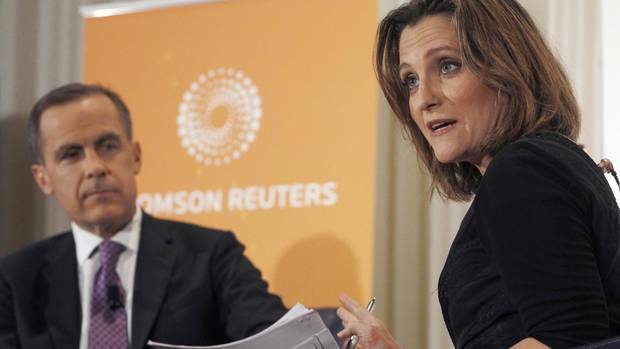 Ms. Freeland, then Canada's international trade minister, is a staunch enough advocate for Ukraine and for sanctions against Mr. Putin's regime that she is banned from entering his country. The Russian President is known for having enemies imprisoned and once brought a dog to a meeting with Angela Merkel to frighten her. But whatever conversation Mr. Putin was expecting, as they renewed acquaintances, it was not the one he got. Instead, Ms. Freeland reminded him that the last time they met – back in 2000, when she was a young newspaper editor who had launched her career covering post-Soviet Russia's corruption-riddled experiment with capitalism, and he was the man elected there to restore some order – Mr. Putin had rubbed her pregnant belly. He asked how the child was doing now; Ms. Freeland let him know she was well, if not the hockey star Mr. Putin had said he hoped she would be. The situation defused, they moved on. Ever since those early years reporting in Eastern Europe, Ms. Freeland has been deploying an unusual ability to charm and disarm powerful people. Academic smarts, real-world knowledge, an ability to speak multiple languages – all that helps. But what often distinguishes her is an unusual combination of preternatural self-confidence, eagerness to please and disinclination to put on airs that cuts through the defences of decision-makers accustomed to being courted. As a journalist, she was uniquely able to turn Russia's emerging oligarchs into sources. Later, she emerged as a darling of the Davos set who built enduring friendships with multinational business titans, even as she gained fame writing semi-critically of their world. And barely three years into her political career, her people skills were a big part of why Justin Trudeau and his top officials (with whom she has characteristically developed a very close relationship) tapped her to replace Stéphane Dion as Foreign Minister. The impetus for that move, which now stands as probably Mr. Trudeau's most important personnel decision since becoming Prime Minister, was primarily her perceived ability to make nice with Donald Trump's incoming administration – an ability about to meet its biggest test, as negotiations to amend the North American free-trade agreement finally begin this week. But Ms. Freeland has bigger ambitions for this job – ones that, if achieved, could define Canada's role in the world in a way that no foreign minister has managed for generations, and if unrealized could leave us more confused than ever about where we stand. When she was recruited to run for Mr. Trudeau's Liberals, in 2013, it seemed as if she were poached to help him manage income inequality – a logical conclusion, considering the focus of some of her recent reporting. But few who know her well believe that's exactly what gets her up in the morning. Rather, they suggest, it's her desire to be in the thick of things, where the action is – exploring the big questions about how the world works when she was a journalist, trying to answer them now that she's a politician. Big questions, at the moment, are not in short supply. As rising nuclear threats from North Korea and a chest-thumping response from the United States had the world on edge the past couple of weeks, Ms. Freeland was an eager participant in containment conversations while traveling in Asia. Aligned with the Americans but on better terms than them with the Chinese – the other global power capable of taking action against the North Koreans – she found herself trying to help bring a little calm to discussions away from the public posturing. In June, she delivered a landmark foreign-policy speech to the House of Commons that gave some hints of the broader ways in which she hopes to shift Canada's foreign-policy focus. The address mostly got public attention for its commitment to increased defence spending and the suggestion that the world can no longer rely on American leadership. But the part of the text that seemed to get her most excited, which she invokes repeatedly in conversation, was about reinventing Bretton Woods institutions – bodies, such as the International Monetary Fund, formed around the end of the Second World War to provide what she calls "global order based on rules" – for the 21st century. It was a speech that, even though she wrote its first draft quickly, was in a sense decades in the making. After growing up in a highly politicized Ukrainian-Canadian family, she has through her career had a front-row seat to tectonic shifts in global power dynamics: the Soviet Union's collapse, the diminished importance of international borders, the recent wave of angry Western populism in response to globalization's perceived impact. Now, just as the planet is more chaotic than at perhaps any other time in her 49 years on it, she believes she is in the right job to help restore structure. Minister of Foreign Affairs Chrystia Freeland is congratulated by Prime Minister Justin Trudeau and party members after delivering a speech in the House of Commons on Canada’s Foreign Policy in Ottawa. 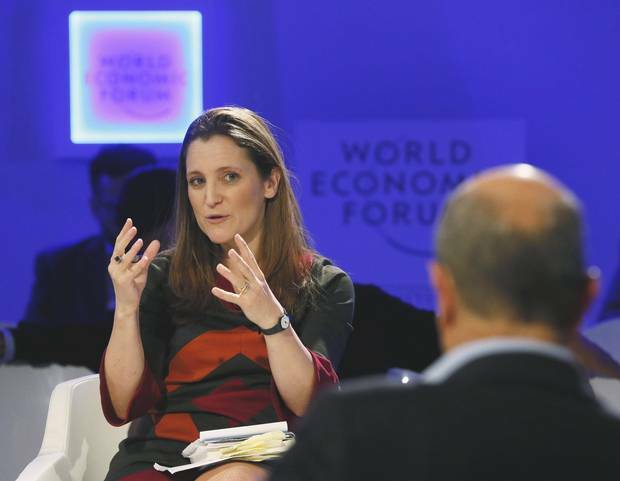 Over the course of two lengthy interviews at her Toronto home this spring and summer, Ms. Freeland made the case for why she thinks this country could be a leader in redefining international liberalism, in ways that make us safer and more economically secure. Diving into institutional examples and specific crises we might help to resolve, she contended our history and geography afford us opportunities for more interventions than we have recently attempted. And while acknowledging many Canadians' skepticism about what positive international coverage of Mr. Trudeau's government is actually worth, she described Canada as "one of the cleanest dirty shirts in the world right now" – which was to say that, while imperfect, we have leverage stemming from a reputation deservedly better than that of most other countries. She is not alone in holding that view, especially within circles where she has long moved. In Ms. Freeland's first few months in her new job, I interviewed or spoke on background with dozens of people close to her. Among them were current political colleagues and staff, former colleagues in journalism, business leaders and officials from other countries. Many of them could be described, like her, as members of a liberal internationalist set. A recurring theme was that this should be Canada's moment, and hers, to step up for open borders, free trade, the protection of vulnerable populations and other things that can't be taken for granted in the era of Donald Trump, Brexit and nationalist governments rolling back civil liberties in Eastern Europe or Turkey. Ian Bremmer, the high-profile global-risk consultant who heads the Manhattan-based Eurasia Group and has been friends with Ms. Freeland since they were both 20-somethings in Kiev, said he thinks it's time for her to advance "a Canada doctrine – a new way of thinking about the world." Fareed Zakaria, on whose CNN show she has frequently appeared as a journalist and politician, expressed hope that her background would help her advocate for a "rules-based global system deterring or responding to acts of aggression like the Russian incursion in Ukraine." Former prime minister Paul Martin called it "critical" for Canada to play a "leading role" as the U.S. turns inward. A former senior official in Barack Obama's administration, who got to know her when she was trade minister, assessed that "she punches way above her weight representing a country of 35 million," and can thus play an outsized role in global fora. Those voices are all in her ear now – not to mention the likes of her close friend George Soros, the billionaire philanthropist who has become the bogeyman for right-wing nationalists across the Western world. It will not be easy for her to avoid disappointing them, and herself. Potentially standing in her way is the calculus of a government that, the closer the next election draws, may be more preoccupied with short-term political wins. And regardless, no matter how effective she is at personal interactions with some of the world's most powerful people, stepping up Canada's international game as she imagines would require rallying bureaucrats, fellow politicians and Canadians at large behind her. That's the sort of success that she has not yet experienced – that has eluded her, at points – so far in her career. When she was a manager in media, she was criticized by some of her colleagues and charges for building her own brand at the expense of running the shop and getting the best out of others. A common suggestion, also made by some people who have worked under her in politics, is that she struggles to relate to those who don't move in her rarefied circles. And then, confronting a minister prone to overextending herself, there are those NAFTA talks that start this week, which she readily affirms as her biggest and most immediate priority. If everything goes just right, maybe Ms. Freeland – at times mistaken for being a critic of globalization, but in fact one of its most ardent defenders – will be able to strike a blow for open borders by finding ways to modernize the continental trade pact. But if it goes wrong, and Canada's most important economic relationship takes a devastating hit, her leadership of Canada's negotiating team will be judged too much of a failure for much else to matter. So before she can get to loftier goals, and before a story like this can further examine them, the inescapable question is how her skill set is applied south of the border. And that means understanding the very unique persona with which she's been cultivating our allies. "Wilbur Ross now knows my Aunt Natalka," the Foreign Minister said of the Wall Street tycoon who is Donald Trump's Commerce Secretary and a point person on NAFTA renegotiations, "because he calls the house so often that they chat on the phone." This line, delivered while we were sitting in her backyard in June, was possibly the most Chrystia Freeland utterance imaginable, combining as it did a casual name drop, a glimpse into the elite circles she has welcomed into her own world, and a nod to her Ukrainian-Canadian heritage. These days, she can get someone like Mr. Ross on the phone just by virtue of her government position. But building up a comfort level, like the one she described, is still a different matter. And since her media days, when global financial titans gave her more access than perhaps any other journalist in the world, she has been doing so in a way that cuts through their suspicions and defences. Few people who know Ms. Freeland have any doubt that she enjoys keeping high-flying company. By the end of her time in New York, some of her colleagues at the business-news service Thomson Reuters – where she landed for the final stop in her journalism career, after earlier tenures at the Financial Times and The Globe and Mail – called her "the billionaire whisperer." This was not always a term of endearment: There was so much eye-rolling at her constant public references to people she was covering as "friends" that at one point, I was told, an employee made a montage video of all the times she was caught on video doing so. Chrystia Freeland, Digital Editor Thomson Reuters, gestures during the annual meeting of the World Economic Forum (WEF) in Davos January 25, 2013. Likewise, there was a view that she was a bit too fawning in her treatment of high-profile economists like her (legitimately close) friend Larry Summers, the former U.S. treasury secretary and national economic council director. "More than anyone I've ever known, Chrystia treated economists like celebrities," recalls a former Thomson Reuters editor who worked under her. "We used to joke that we were groupies for them." But if she admires such people, she doesn't overcompensate the way many might. Bank of Canada Governor Mark Carney (L) is interviewed by Chrystia Freeland, Thomson Reuters Managing Director and Editor, Consumer News, at the National Press Club in Washington April 18, 2013. Instead, she displays a complete lack of artifice that helps her stand out and gain the trust of elites used to dealing with people who want something from them. "Her strength is that she's the same person whether she's taking her kid to taekwondo class or sitting down with [billionaire investor and Trump adviser] Steve Schwarzman at Davos," was how her friend Mark Wiseman, currently a senior executive at the giant global asset manager BlackRock and a member of the Canadian government's economic advisory council, put it. I got a window into what that means when I interviewed her, making no claims to elite status myself, but writing a profile for which she had incentive to curate her image. On each of my three visits to her house, a somewhat chaotic semi-detached in upscale midtown Toronto – no effort to hide what raising three children between the ages of eight and 16 actually looks like – she was dressed casually. Not Justin Trudeau, Vogue-ready casual. Jogging pants and T-shirt casual. By my second visit, she would greet me with a hug. 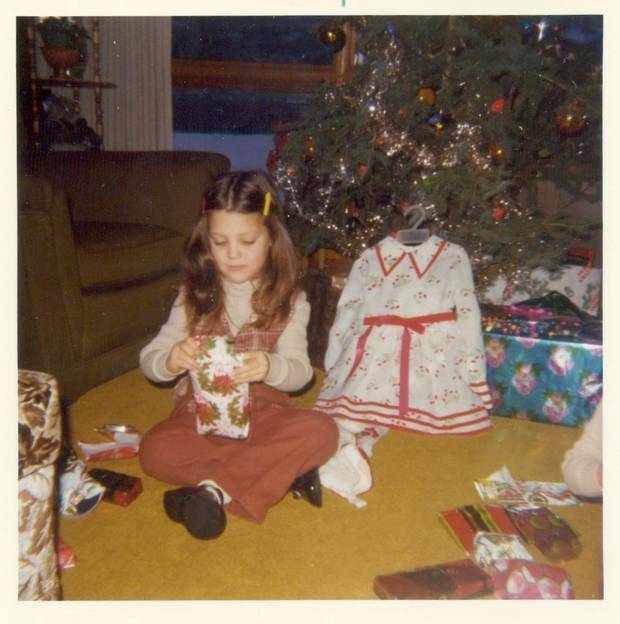 Her husband, Graham Bowley, a New York Times reporter who still commutes to Manhattan, made very amiable if vaguely bemused small talk; every once in a while one of her aunts, who take turns staying with the family to help with child care, popped in. As we talked, Ms. Freeland implored me to eat fruit and chocolates that, as a good Eastern-European host, she personally laid out. Once she offered to have her eldest daughter, the one with whom Mr. Putin made a connection of sorts, prepare me lunch. When she introduced me on my final visit to one of her kids as a "friend," even though we've never socialized, it was still a little jarring. But not as much as it would have been from most politicians with whom I'm not actually friends. As far as I could tell, this is pretty much the same treatment she affords others. Even when holding bigger and somewhat more formal gatherings, she incorporates her home life and heritage in ways to which many of her guests would be unaccustomed. At her Fifth Avenue apartment, there would be a pause during gatherings of Manhattan media moguls and Wall Street sources when conversation would stop so her two eldest kids could play string renditions of Ukrainian or classical songs; charmingly "old-world" was a common description offered by those who attended. And when she's on the road, she seems to be so unapologetically frazzled that barriers are broken down in peculiar ways. Recalling a recent trip to Washington, she described both Secretary of State Rex Tillerson and Wilbur Ross noticing that she was wearing glasses held together by a safety pin, which culminated in the Commerce Secretary dispatching an aide to a drugstore for a repair kit, then personally helping fix them. Whether this qualifies as authenticity, exactly, is a matter of some debate. Several people who have worked with her, including in politics, described an emotional intelligence that allows her to read people and tailor her charm in a way that suits them – and assessed or implied that she only fully turns on that charm with people she considers at her level or believes have something to offer. Whatever motive is behind it, the informality wouldn't work if it weren't rooted in her own justifiable self-confidence about her ability to speak on a level that few journalists or politicians can manage. Merely being charming would not have caused someone like Martin Wolf, a legendarily influential Financial Times columnist, to bubble over effusively when speaking of her, describing her as "incredibly good at absorbing opinions and ideas," and "about as good as you get in this world." She is an extremely well-read Harvard graduate and Rhodes scholar who speaks five languages, and combines a strong grasp on economic fundamentals with real-world knowledge accumulated since working her way to running the Financial Times's Moscow bureau well before her 30th birthday. In our interviews, that confidence allowed her to eschew rigid message control that many other ministers favour or require. Instead, she at least appeared to be considering each question and thinking out loud about how her political philosophy and government's values applied to a range of subjects. And she was willing to offer interesting, previously unheard anecdotes or nuggets of information to illuminate how she operates or what she is seeing in the world. More importantly, it's manifested itself in a way Americans appreciate. Sarah Goldfeder, a former official with the U.S. embassy in Ottawa who now specializes in Canada-U.S. relations, assesses that Ms. Freeland "is more assertive than Americans expect Canadians to be, and clearly understands that directness is valued south of the border in a way it isn't here." Not that this is exactly a standard American administration, the one Ms. Freeland is dealing with. Which is where other qualities that also set her apart from many of her predecessors are also supposed to come in, and are about to be tested. "My briefings from my officials sometimes refer to the 'unconventional' nature of this administration," Ms. Freeland said of dealing with Mr. Trump's Washington. "Which I think is a very good Ottawa word." To understand how she might steer NAFTA through such unpredictable waters, and why Mr. Trudeau thought she was the best choice for the job, it's instructive to look at the other major trade crisis Ms. Freeland has dealt with. [Ms. Freeland]... clearly understands that directness is valued south of the border in a way it isn’t here - Sarah Goldfeder, a former official with the U.S. embassy in Ottawa. If Canadians remember anything about Ms. Freeland's handling of the Canada-European Union free-trade agreement, inherited from the previous Conservative government before passage, it is probably an outburst last October so uncharacteristic her friends still aren't sure if it was tactical. Fed up with the obstinacy of the regional government of Walloon, which threatened to kill the whole deal, she announced to the press – near tears – that she was heading back to Canada, where she would at least see her kids. Although subsequent analysis suggested the incident helped produce compromises that saved the trade pact, her government neither expects nor wants an encore with the Americans – if, say, the U.S. refuses to back away from its potential sticking-point demand to scrap NAFTA's Chapter 19, which puts disputes about anti-dumping duties to multilateral tribunals rather than U.S. courts. Dealing with the administration of a President who gleefully seizes on and mocks any perceived sign of weakness, such "visible emotion" (as she later described it) would seem a poor fit. What Mr. Trudeau does want Ms. Freeland to repeat is the way she threw herself into saving CETA behind the scenes – an effort that drew upon her usual people skills, her reporter's instinct to go where the action is, and policy smarts that allowed her to dig deeper into the nitty-gritty than many ministers would. When the Liberals took office, one of Mr. Trudeau's senior officials claims, CETA required "a radical rewrite," mostly to address concerns about ceding too much sovereignty to multinational corporations. The official suggested that if Ms. Freeland's "relationships and her moxie" had not fueled changes (notably to that agreement's dispute-resolution mechanism) during a "legal scrub" in the spring of 2016, CETA would have died long before the unpleasantness with the Walloons. 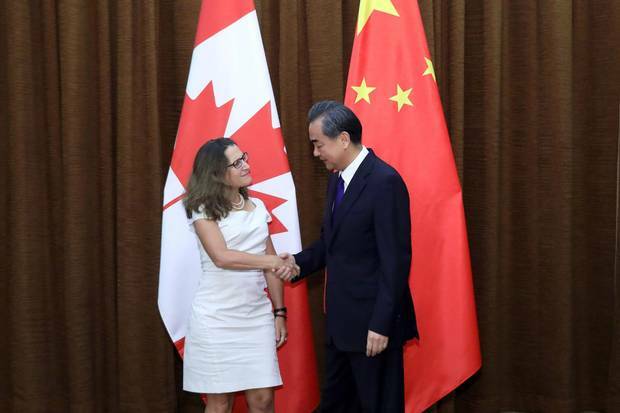 Accounts from the other side of the table are more measured: Over the phone from Brussels, European Trade Commissioner Cecilia Malmstrom said Ms. Freeland "came in at a moment when we realized we needed to do a few changes." But the former Swedish cabinet minister, who quickly became friends with Ms. Freeland, recalled her constantly jetting to Europe to work every angle to achieve buy-in. That apparently involved turning up anywhere trade decisions might be made. By way of example, Ms. Malmstrom cited an informal gathering of European foreign ministers in Slovakia last September. Normally a Canadian minister would have been nowhere near such a thing, she said; Ms. Freeland delivered a dinner speech, then, in contradiction to the usual protocol, stuck around to corner individual ministers. None of this would be terribly relevant if changes to NAFTA were being negotiated with a more "conventional" U.S. partner. Donald Trump, though, does not favour clear lines of authority or process. It's rarely clear which feuding advisers within and outside the White House have the ear of a President with extremely limited base knowledge. The smart play, for a foreign government trying to stay a step ahead, is to cozy up to as many potential influencers as humanly possible. Here, comparisons between Ms. Freeland and her predecessor – which she dutifully brushed off in our interviews, but others in government were more willing to make – become unavoidable. Stéphane Dion is aloof and process-oriented. It is possible to imagine him at meetings with the Secretary of State, and maybe one or two other cabinet-level U.S. counterparts, planned out by officials; making time for people without formal government roles, not so much. Ms. Freeland has no such reservations. She has spent much of the past seven months travelling around the U.S., meeting with everyone from high-level White House officials to state-level politicians, preaching the value to both sides of Canada-U.S. trade and gathering intel. If there is no event happening in DC that merits her attendance, she creates one – recently, for instance, taking it upon herself to personally convene a casual dinner with Republican lawmakers and senior White House officials. "It's not our job to decide who has the authority to do what in the United States – that's the job of the Americans," she told me. "What we have been very systematic about is trying to have a relationship with everybody." She went out of her way to convey that, whatever ideological discomfort a liberal internationalist might reasonably have with the current administration, there has been no nose-holding on her part. Trump officials, she insisted, have been a pleasure to deal with: "very accessible and very responsive," with "a real roll-up-your-sleeves-and-get-engaged style." And she took pride in her tendency to surprise U.S. industry representatives, officials or state-level politicians unaccustomed to someone at her rank personally calling them. "I didn't sit down at the beginning and say 'this is how I did it as a journalist, this is how I'll keep on doing it' – I just found it was how I did things," she said. "Something that I have found doesn't always come easily in government is to try to get to the person who knows the most and is actually the person dealing with the issue, not like three layers up." It has not been a one-woman operation. The entire Liberal government has been unusually seized with cross-border relationship-building, with Ms. Freeland's former chief of staff Brian Clow – now the Canada-U.S. point person in the PMO – keeping a daily spreadsheet of where ministers and officials are participating. But Ms. Freeland has been at the effort's forefront, and she can probably also take some credit for its cross-partisan tone, culminating in the announcement this month of a NAFTA advisory council featuring prominent former Conservative and NDP politicians. Not once during our interviews did she offer even implicit criticism of domestic political rivals, and she gave an unprompted "shout-out" to the opposition Tories for joining in the charm offensive. Now, after the laying of all this groundwork, comes the moment we find out how effective Ms. Freeland is when Canada, the United States and Mexico are actually negotiating. Although she went out of her way in one of our interviews to praise the experience and skills of Canada's professional negotiating team, it's improbable she'll give them the space others in her position might. She likes being in the thick of it too much for that, and as she said about her general approach to such things: "I want our interlocutors to know I have personal skin in the game." That's not without its perils. "She's going to be incredibly into the weeds on policy," one senior federal source predicted recently, "and it's debatable whether that's a good thing." Since she was a reporter, Ms. Freeland has had confidence in her ability to "immerse yourself in the detail when you need to, but constantly strive to swim to the surface and to the big picture." But she may never have tested that ability like she will in the months ahead. Beyond the usefulness of her existing U.S. relationships, the negotiations may also test her instincts about how Canada interacts with the third partner in the continental pact. Under Mr. Trudeau, Canada has run somewhat hot and cold on Mexico. When Barack Obama was still in the White House, the Liberals made a show of being friendlier toward NAFTA's southern-most partner than Stephen Harper was; after Mr. Trump's election win, they briefly seemed wary of aligning with a country the new President had demonized, and with which he has much stronger trade grievances. Ms. Freeland does not appear terribly conflicted on the matter. Going into the NAFTA talks, she said, "it's extremely valuable that we're close." Characteristically, she has struck up friendships with both Luis Videgaray Caso and Ildefonso Guajardo Villarreal, the Mexican foreign and economic secretaries. ("I exchange texts with Luis and Ildefonso all the time.") In the process, another senior Canadian official suggested, she has helped settle the internal debate about whether to work together when confronting American protectionism. How that leap of faith plays out is still anyone's guess, as are many of the key dynamics during the formal negotiating process, since it won't even be entirely clear until the three sides sit down what the format will be. But however such matters are playing out at the bargaining table, and however much time Ms. Freeland is spending at it, some of her greatest value may still be intelligence-gathering away from it. There remains a common perception on the Canadian side that Mr. Trump's administration is looking for a couple of quick wins that allow him to show results in standing up for domestic industry, more than a complete or complex NAFTA overhaul. The trick, if that's the case, is figuring out what those wins might be, which could change as often as everything else that enters the President's short attention span. Nobody is better-positioned to figure that out than a Foreign Minister willing to pick up the phone and call anyone who might have a clue. If she really puts her abilities to work, she might even be able to find common ground that does more than just prevent trade relations getting worse. By the time she was finished negotiating changes to CETA, she and other Liberals believe, they had arrived at something that might serve as a model for other trade deals in the 21st century, by proving it possible to strike the right balance between sovereignty and open borders. Maybe this time, too, she can strike a blow for globalization as she sees it. Although every once in a while, it is hard not to wonder how she manages to avoid getting onto uncomfortable turf with Trump administration officials, when conversations stray from immediate issues at hand to overseas. Because there is really no understating how different her life experience has been from most of theirs, and how different a view of the world beyond North America's borders it has given her. "I don't know if this is still what it calls itself," the Foreign Minister said of the place she spent a good chunk of her childhood. "But it was established as a Ukrainian socialist feminist housing co-op." The fledgling attempt at communal living in a corner of Edmonton – where her mother, Halyna Chomiak, was a founding member – is understandably not her go-to when speaking publicly about her upbringing. The canola farm in northern Alberta's Peace River, where she lived full-time until her parents divorced when she was ten, and spent summers and weekends visiting her dad thereafter, makes for easier retail politics. And, no, she has never been a socialist herself. "Capitalist" is a popular description of her among her friends, after "liberal internationalist," and when asked to put her on the ideological spectrum, they tend to identify her as moderately right of centre. Feminism, she'll much more gladly lay claim to, especially as her government launches a "feminist foreign policy" (prioritizing improvements to lives of women and girls in foreign aid) under an avowedly feminist Prime Minister. Ask what she took from her mom, and that's what she'll go straight to – proudly recalling Halyna as a trailblazing lawyer who convened "consciousness-raising meetings in our kitchen" when still in Peace River, was among the first members of the Women's Legal Education and Action Fund, and was a driving force behind Alberta's law to recognize the economic worth of women's domestic duties. First Daughter and Advisor to the US President Ivanka Trump listens to Canada’s Minister of Foreign Affairs Chrystia Freeland during a panel discussion at the W20 women’s empowerment summit sponsored by the Group of 20 major economic powers on April 25, 2017 in Berlin. But it's the inescapable Ukrainian-ness, passed down from Halyna's side of the family, that those who know her inevitably invoke when trying to define her and her beliefs. For starters, if not for her fascination with the mother country despite being a third-generation Canadian, she might never have wound up in journalism and then public life. Most 20-year-old Harvard undergrads would not have leaped at the opportunity to go on an exchange program to Kiev while it was still under Soviet rule. But because she did, in 1989, she wound up working as a translator for Western journalists, placing herself on a path – amid finishing her Harvard degree, and a year as a Rhodes Scholar in Slavic Studies – to freelance from Ukraine and Russia as the Iron Curtain came crashing down. Her connection to that part of the world also fuelled a tirelessness in learning about it, as she established herself as one of the West's foremost chroniclers of the post-Soviet era. "More than most reporters from other countries," says John Lloyd, who ran the FT's Moscow bureau before her, "she was involved in it." If her heritage has influenced her in her current position, it is most evident in the greater antagonism between Canada and Russia than when Mr. Dion was in the job. Ottawa has been more inclined to poke Moscow – notably by adopting a "Magnitsky Act," named after a Russian whistleblower, imposing sanctions against human-rights violators. Moscow, in turn, has sought to discredit Ms. Freeland by making hay of unpleasant family history about her grandfather serving as editor of a Nazi-controlled newspaper. And she has the unusual distinction, for a country's top diplomat, of being on Russia's list of banned visitors. But more meaningful to Canada's interests and global ambitions, if more complex, is the way her broader worldview has been shaped by both her heritage and her years in Kiev and Moscow. She grew up immersed in conversations – with her mother, her grandparents, various aunts and uncles, the broader community in which she lived – about Ukraine as a small country with outsized importance, on a fault line of world history, with potential to show how a postauthoritarian civil society could be built. And she spent formative years witnessing firsthand the euphoria of democracy coming to people who had never known it – and then, in both Ukraine and Russia, how fragile that democracy can be. That latter experience led her to literally write the book, 2000's Sale of the Century, about how rampant post-Soviet corruption begat enthusiasm for a strongman in Russia. It also allowed her to witness Ukraine's struggles establishing a civil society sturdy enough to remain free from Russian control. The effect, some of her contemporaries from that period perceived, was to help her be clear-eyed about authoritarian impulses around the globe now. "It hardened us," David Hoffman, a Pulitzer Prize-winning Washington Post veteran, said over lunch as he described Ms. Freeland's reporting skills when they were both stationed in Moscow and paired up on travels around Russia and its neighbours. Then he invoked the present: the emergence of China as a superpower, anti-democratic shifts in big countries like Turkey and Egypt, the Trump administration. "It's completely transferable, because the era we're living in is a rising illiberal time." There was another reason Ms. Freeland could easily have been hardened. While her daughter was based in Moscow, Halyna Chomiak went to Kiev, and wound up helping write Ukraine's new constitution. As rewarding as that experience was, at times, it also exposed her to rampant corruption, and for her final years – which she spent with Ms. Freeland and her family, in London and New York, after falling ill – left her somewhat soured on the country in whose potential she had spent so much of her life believing. In one of our interviews, Ms. Freeland conceded a bit of resultant realism from her own experience, at least. She learned, she said, that after rejecting authoritarianism, "it's really hard to build a sustainably better regime." Some of the powerful people she has impressed, since returning to the Western world, consider her lack of illusions a virtue. GE's Jeff Immelt, for instance, told me he appreciates that she "understands the way the world is," rather than seeing it "the way you want it to be." But Ms. Freeland insisted it was something else from those Russia and Ukraine days that stuck with her: optimism. "What was at the time very positive, and for me remains positive, was seeing that this profoundly repressive regime could actually be overthrown," she said. "And how quickly it could be overthrown, how quickly the police state could shatter … Most people who've lived in a great country like Canada don't have an intuitive sense of that." By her estimation, there could in relatively short order be a turn back toward liberalism in even the most seemingly unlikely countries – like Russia, for instance. "I'm not a big believer in all this stuff about a particular nature of eastern Slavic culture, the eastern Slavs preferring to be oppressed by the strong arm of the czar," she said. "People used to say that about Ukrainians, too, and now they have one of the most vibrant civil societies in the area." She appears under no illusions about forcing or provoking regime change elsewhere. But she does have ideas about how Canada can help build the sorts of postauthoritarian civil societies that her family theorized about – in Eastern Europe, and plenty of places beyond – and a more stable international order in the process. When I asked whether her admirers outside our borders were bound to be disappointed by the limitations of Canada's reach as it looks out for its own interests, Ms. Freeland started with roughly the answer I anticipated: She's not worried about that, because her responsibility is only to Canadians. "I guess the obvious thing to say is that the expectations for Canada are so high, of course we'll disappoint them. I …" she paused, "… don't actually believe that." "I don't know if you've noticed, but The New York Times has been writing a lot about Canada, in a very positive way," she continued. "And every single Canadian that I have talked to has that kind of eye-rolling reaction that you just had … like, 'Oh, really, we're not that good.' You know what I want to say to Canada? Actually, maybe we are that good. "I totally don't want to be sanguine, I totally don't want to be complacent. Right now, I feel we are in a pretty great place on the global chessboard, and I think we may exceed our own very modestly Canadian expectations for ourselves." Such was the Foreign Minister's state of mind when she put pen to paper (or fingers to BlackBerry) during a flight from Anchorage to Seattle in early May. By the time she landed, she had the outline of the speech she delivered to Parliament that made the case that with the Americans turning inward, Canada must turn outward to help save a liberal international order shakier than at any time since it was constructed after the Second World War. She knows that sounds like a tall order, acknowledging a nation of 35 million "can't approach it as a superpower." She also surely knows there are recent aspects of Canada's record both at home (the conditions endured by much of the country's Indigenous population) and abroad (the recent sale of armoured vehicles to Saudi Arabia, possibly for use against its own citizens) that explain some of the eye-rolling. Hence the "cleanest dirty shirt." But it is easy to see why she thinks we currently have an unusual amount of global leverage. Alongside fawning foreign-press coverage of Mr. Trudeau are international polls showing Canada as the most reputable of countries. And there are the very important people, with whom she's in regular contact, offering positive reinforcement – from Mr. Soros, who she says has "very great hopes for Canada," to someone like the EU's Cecilia Malmstrom, who told me Europeans have "a natural weak spot" for anyone presently representing Canada because they're "very impressed by the Trudeau government." What has been less clear publicly is how exactly Ms. Freeland thinks we should use that leverage to both "preserve and nurture Canadian prosperity and security" and "contribute to our collective goal of a better, safer, more just, more prosperous and sustainable world," per her speech. Not to mention help preserve "the sanctity of borders" (like the one Russia ignored when it annexed part of Ukraine), push back against demonization of free trade, and manage the impacts of automation and digital revolution to benefit the "global middle class," all of which were also in there. In our interviews, Ms. Freeland occasionally made the sorts of arguments that rile critics of her government who think it's all sizzle, no steak. "It may be weird for a journalist to say this, because my old job was all about words, but it has been a bit of a surprise to me in this job how powerful words in and of themselves are," she said at one point. "To say we believe in rules-based multilateral institutions, at a time when a lot of people are saying the opposite – that's important. To say we believe in trade … To say we believe in immigration … we should not underestimate the pure power of saying something." But she also showed, when diving into more substantive matters of diplomacy, that she has higher hopes than even some generally like-minded folks in and around her government. In an interview earlier this year, Dominic Barton – the Canadian who heads the global consulting firm McKinsey & Company, and is both an economic adviser to Mr. Trudeau's government and a friend of Ms. Freeland's – said he could easily see her serving as a sort of international interpreter to help prevent tensions or misunderstandings resulting in standoffs. This proved a common theme in trying to gauge how Ms. Freeland could exert influence, with one senior federal official going so far as to suggest she might be able to play some part in helping avoid "World War I scenarios." And it tended to be invoked apropos the Trump administration in particular. Canada has a history of helping the rest of its world make sense of its neighbour. Maybe we could also help Washington better understand the rest of the world, as well, and in the process dissuade it from taking reckless positions. While not quite brushing off this idea, when I asked her about it, Ms. Freeland essentially replied that it's too narrow. Canada has unusually close relationships with both the U.S. and Europe, she allowed. But in addition to playing intermediary, she wants to be an instigator in figuring out how established powers interact and co-operate with emerging ones. Among the reasons Ms. Freeland believes international order is at risk is a shift in economic power toward countries – in Asia, in Latin America – that renders postwar international governance structures built by Europeans and North Americans increasingly outdated. And she is representing a country she thinks is unusually positioned to do some rebuilding, for reasons beyond its current reputation. "I think we as Canadians don't fully appreciate the extent to which, by virtue of our history and our geography, we're at the nexus of almost every institution that matters in the world," she told me, rhyming off a list of memberships many bigger and more powerful countries can't match – NATO and the G7, the Organization of American States and the Asia-Pacific Economic Co-operation, the Commonwealth and la Francophonie. "We have Atlantic, we have Pacific, we have Arctic. That means we're inside a lot of conversations that don't always overlap, and we can bring them together." She is not the first Canadian politician to see that potential: Paul Martin drove the formation of the G20, supposed to be more reflective of the world as it now exists than the G7. But even he lamented in an interview that "the failure of the G20 is they have not supported the great multilateral institutions to the extent that they might," which is seemingly to say that G20 meetings have remained isolated from entities that make more consequential decisions. Why does Mr. Martin, among others, hold out hope Ms. Freeland will be able to help bring together very different countries in common purpose? Maybe her people skills, along with the existing knowledge and skills at intel gathering, will prove her unusually effective at wielding soft power. And then there is her purported ability to see both forests and trees. In our interviews, Ms. Freeland gave the impression that more than trying to conjure international alliances out of thin air, she hopes to use issues of immediate consequence – from trade deals to dispute resolution – as building blocks. Canada’s Foreign Minister Chrystia Freeland (L) shakes hands with her Chinese counterpart Wang Yi as she arrives for a meeting at the Ministry of Foreign Affairs in Beijing on August 9, 2017. In another case, it sounded less as though she was trying to justify whatever Canada might otherwise do out of self-interest. As one of only two G7 countries in the OAS, she said, Canada has a unique chance to provide leadership in the Americas. (Unstated was that the other G7 country, the U.S., is doing less of that these days.) As an example, she cited Canada co-chairing with Chile an intergovernmental coalition to promote LGBTQ rights. More intriguingly, she briefly mentioned the possibility of Canada helping broker an end to Venezuela's governance crisis. This was in June, and the situation there has since gotten worse, without Canada doing much about it. But the idea, at least, was that helping stabilize that country and contain fallout might also set useful precedents and strengthen bonds with other major regional players invested in finding a solution. And in her recent Asian travels, the same official who talked this week about North Korea told me, she has tried to shrink the world a little by engaging counterparts in that part of the world in conversations about Venezuela, as well. Many examples she proffered of where Canada can wield diplomatic influence were relatively small in scope. The intersection of "our real knowledge of Russia" and support for both refugees and LGBTQ rights, Ms. Freeland said, could allow us to lead the international effort to rescue persecuted gay men in Chechnya. She also had at hand a lengthy anecdote about Canadian participation in the training of Ukrainian police, which apparently helped increase the number of female officers, which then generated enough interest from other foreign officials (including John Kelly, before he became Mr. Trump's chief of staff) that she thinks it could be a cornerstone of feminist foreign policy. The point, Ms. Freeland said, is to "pick our spots" to lead by example, and potentially forge or strengthen international alliances in the process. Other than "talking to Canadians about Canada," as she put it, her parliamentary speech was meant to serve as a framework for her department, in seeking out opportunities and building policy accordingly. "I am very much using it now as a foundational document for talking to our embassies, talking to our officials, and saying 'okay, we've given you guys a road map, now let's work together to figure out how to actually get there,' " Ms. Freeland said. Realizing her order-building ambitions and defending Canada's interests, then, require not just her personal efforts, but the motivation and mobilization of those working under her. And that leads to perhaps the biggest question about her, based on her high-flying career so far: whether she is capable of bringing enough people along with her for the ride. When she stunned her media friends by entering in politics, Ms. Freeland had a pair of book deals. One was for a sort of authorized biography of George Soros, the other an economics tome co-written with Larry Summers. She also had working proposals for two other books, on "the rise of authoritarian regimes around the world and how we shouldn't take the liberal democratic order for granted," and on how rising middle classes in emerging economies would interact with more established ones. And hot off Plutocrats, one of the best-networked journalists in New York, she was not about to be starved for opportunities in the media world. So the official story – that Mr. Trudeau had to run a full-court press of a recruitment campaign to get her to come back to Canada, after his campaign director (now chief of staff) Katie Telford saw her speaking at the Banff Forum in 2012 and thought she would be a great catch – is true. But based on the accounts of people who know her well, and were closely involved in her career in journalism, she was also ready for a change. "Whether by design or by accident," said her onetime Financial Times editor John Lloyd, with whom she stayed close enough friends that he came to Toronto to volunteer on her 2013 by-election campaign, "Trudeau came calling at the right time." Ms. Freeland and I did not talk in detail about this period of her life in our interviews, and she did not take me up on a later offer through her office to discuss it. But others attested she was in the midst of what another old friend from the FT, Martin Wolf, called "a difficult period in her life." Partly that was personal: Five years after her mother's death, Ms. Freeland was still feeling its toll. But she was also experiencing a degree of professional disappointment. And some of the factors behind it are worth keeping in mind, now, in light of the importance in her new position of being able to lead people. For her first decade-plus in journalism – an ascent at the FT that Mr. Wolf called "without parallel," a homecoming to Canada to be The Globe's deputy editor, a return to the FT for senior editorships that might have had her on track to run the place – Ms. Freeland's rise seemed to be unstoppable. But in her second go-round at the FT, several sources said, she clashed with editor-in-chief Lionel Barber, and her assignment to lead that newspaper's U.S. coverage was not a promotion. She made the most of it – "What drove the people at the FT nuts was they exiled her to New York, and suddenly she's turning up at George Soros's for dinner," a media-industry friend of hers said – but eventually had an unhappy break with the FT. Her final media stop, at Thomson Reuters, did not end well, either, partly due to traits that could trip her up in her current job, as well. Arriving in 2010 as the business news service's most public face, she spearheaded the relaunch of its website, generating lots of industry buzz by attracting other big names to write for it. But the roughly $15-million (U.S.) project seems to have been troubled from the start, as it suffered from technical problems, budget overruns and an inadequate revenue model, and it was seemingly doomed by the time she left – at which point the company almost immediately pulled the plug on it. Former employees who believe she bailed on them ("It was literally the kind of thing where you came in one day and she was gone," said one former editor there) don't assign her full blame for the site's demise. But even defenders among her staff or colleagues at that time also acknowledge she had some managerial shortcomings – two of which came up most often in my conversations with them. One was that she spread herself so thin – writing her book, jetting off to interview famous people or attend summits with them, saying yes to every request to appear on television panels – that she made it difficult to do her day job properly. The other was that while excellent at managing upward (to company board members, for instance, in getting initial buy-in), she wasn't as good at managing down to her staff, or even laterally to other managers. She was not unpleasant to deal with, but she may not have been consistently accessible or attuned to others' needs or concerns. Such criticism is not entirely isolated to her Thomson-Reuters days. There are faint echoes from other points in her journalism career, and to some extent it followed her into politics. Before the Liberals won government in 2015, views of Ms. Freeland within her party were decidedly mixed. Some of the staff on her first campaign assessed that she wasn't particularly good at connecting with either constituents or volunteers. As the general election drew closer, the Liberals lagging in the polls, more senior party members warned that she needed to accept fewer speaking invitations outside her riding, and focus on the less glamorous work of warding off a strong local challenge from the NDP. Those complaints can seem like ancient history, now. But as much success as she's had in her short time as a minister – CETA, navigating Trumpland, building relationships elsewhere – her ability to lead hasn't yet been gauged like it will during the NAFTA talks. Meanwhile, she has by her own admission only just set out her roadmap for other things she wants to accomplish. The more ambitious they are, the more her ability to delegate will be tested. In terms of lateral management, she is unfailingly complimentary toward cabinet colleagues and other MPs. If she has made many enemies in Parliament, it's not readily apparent. But being mindful of others' political sensitivities may still be a work in progress as she tries to balance trade priorities and push through policies in a capital where she is a relative newcomer. As one government official who has worked closely with her put it: "She's not someone who's going to necessarily think to go talk to the Quebec caucus or something." The bigger challenge is managing down. The Liberals inherited a Foreign Affairs department and diplomatic corps by their assessment weakened by a decade of Conservative government suspicious of public servants' agendas – not the sort of enterprising operation she might want to fill in the blanks of her agenda. Mr. Dion put in a fairly traditional effort to boost the ministry's morale – telegraphing his desire to seek public servants' input by taking lots of meetings and memos, making sure he was seen eating among them in the workplace cafeteria now and then. Ms. Freeland, rather unapologetically, has not. She raised some eyebrows, internally, by making little pretense of consultation before drafting the outline of her mission speech. She makes no bones about preferring to traverse the world than roam the halls of her ministry. Some people, she told me, like to sit and think; her brain works best when she is on the move. "My job is to represent Canadians in the world," she said when I asked her about morale-boosting. "My job is not to represent the Pearson building in the world." Certainly, she said, she wants to draw on her department's "deep expertise." But even when turning to it for advice, she's willing to bruise egos by going to whomever she thinks will have the best first-hand information – or, the odd frustrated official suggests, going to whomever tells her what she wants to hear – not worrying too much about chain-of-command. And, often, she will look outside there. It can be hard even for her political aides, let alone bureaucrats, to keep track of whom she is talking to – in business, media, powerful international institutions. Not to mention keeping up with the stream of ideas her global interactions prompt. "When she's on a plane somewhere," one of her staffers said, "those of us not with her will know when it's landed because we'll have like 80 e-mails." It can be exhausting, being around her. It is not for everyone. Several people who are close to her observed that she struggles to relate to people who are not as driven as she is, which is to say most people. And if you know her career to date, you can't escape the possibility that the novelty of this new chapter will eventually wear thin, for her if not for others. 2013: Chrystia Freeland, who is running for the Liberal Party nomination in the by-election to replace Bob Rae as the MP for Toronto Centre, holds her son Ivan Bowley, 4, as she reviews her notes before making a speech ahead of the vote in Toronto on Sunday, September 15, 2013. Patience has not been her defining characteristic. If trying to find common ground with the Trump administration on trade proves an exercise in frustration, and it turns out the G7's smallest country doesn't get much of a hand in reinventing the world order, and her fellow Liberals prove more excited by re-election than her large-scale goals, she may decide her talents are best used elsewhere. She wouldn't lack for opportunities when leaving politics any more than when she entered it. But watch her enough, hang out in her world, and you start to wonder if the formula for her personal success – the energy, the ambition, the charm, the lack of artifice, the academic smarts and hard-earned worldliness – might prove infectious in a way it hasn't before. Maybe she lights a fire under a foreign service that wants to dream big. Maybe she gets the right deal with the U.S., leverages all that international goodwill into Canada meaningfully asserting its values beyond this continent, and captures Canadians' imaginations. Maybe this job, at this moment, is what she was made for. She has spent her life with a front-row seat for history. Now, she has a chance to be right there on the stage. And she was prepared enough, by her life experience, to know who she is and what works for her by the time she got there. Three days before Donald Trump's inauguration, I was on my way to Washington to interview a few people about our new Foreign Minister, when I coincidentally ran into her waiting to board the same flight. If she were representing a different country she might not have been flying commercial, which means she would have been spared the ordeal we both experienced. The plane was delayed by hours because of an Air Canada computer glitch; by the time it finally took off, the weather in DC had turned so foul that after coming in for a landing, we suddenly rerouted to Boston, where we sat on the runway for hours. We arrived in the U.S. capital so late that she missed her meeting with soon-to-be members of Mr. Trump's cabinet, and re-boarded the same plane to fly back for appointments in Canada the next day. But a moment in the waiting lounge, that morning, stuck with me. Some cabinet ministers might have been throwing a fit or stewing over the indignity. This minister, when I asked where she'd gotten the coffee she had in her hand, volunteered to watch my luggage while I got one myself. I was disarmed. When she got to her new friends in Washington, they probably were, too. Adam Radwanski is a political feature writer and columnist at The Globe and Mail. Editor’s note: Due to a technical error, an earlier version of this article did not include several paragraphs of the original. It has been restored.